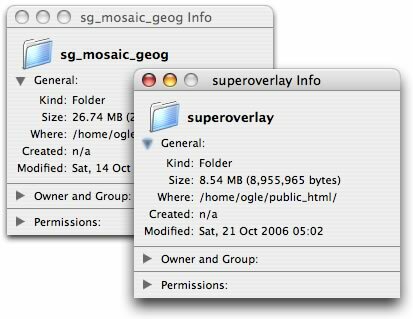 Last week we saw the release of Paolo Mistrangelo’s Super Overlay Tiler, a free PC tool for creating region-based KML. Now we get Valery Hronusov’s Superoverlay beta 1.0.0, a application for PC that has the exact same aim. It costs $20, but it has more features. How do they stack up? Both are beta; Paolo’s free tool is a one-size-fits all app for PC with a command line for a GUI, whereas Superoverlay beta is a stand-alone GUI app — you basically feed it a file and some coordinates, and you’re good to go. 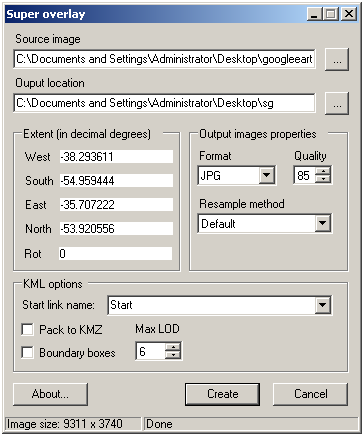 In addition, you get to choose how many levels of detail (LOD) you’d like, what file format the images should be, and whether the result should be compressed into a single KMZ file. Valery gave me a copy of Superoverlay beta, and I have now thrown the same 100MB TIFF file of South Georgia at it. For comparison purposes, I chose the same level of detail that Paolo’s free tool used for the image &mfash; six levels of detail — and changed the file format to JPEG, leaving the compression ratio at the default value. The result was the exact same number of files (2,371) but with a smaller footprint on the server, at 8.54MB (vs. 26.74MB for Paolo’s tool). 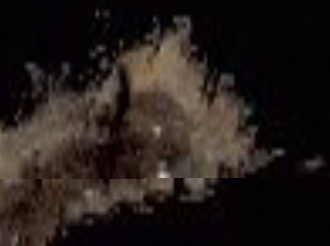 As both apps appear to produce the same quality imagery, the JPEG compression algorithm Valery uses is likely more efficient — his JPEG files are smaller, even as his KML files are larger in size, on average. 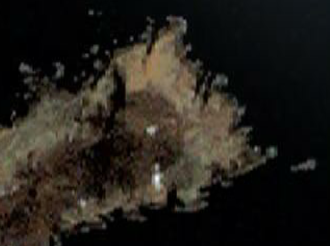 Note that there are artefacts at the edges of the tiles made by both apps. A couple of observations: The option in Valery’s app of turning the output into one big KMZ file certainly simplifies things, but you do then lose the main advantage of regions-based code, which is that you only download those tiles you’re zooming in on, and not others. Also, neither application at the moment churns out web-friendly code. The <href> tags in KML point to local file names, not URLs, and while this is fine if you have the files sitting on your hard drive, once you upload them to the server you get code that can’t find the imagery. I’m currently solving it with a deftly placed multi-file search & replace query in BBEdit before I upload the KML to my server. The other solution — turning the entire output into one KMZ file — defeats part of the purpose of using regions. Finally, if you don’t know the exact coordinates of the boundary of your image, then Paolo’s solution remains the easiest &dash; letting you use Google Earth to help find two points that can pin the image to the base layer. You shouldn’t need URLs for the href tags in the KML code of the child layers. Only for the top most parent tile layer. Also, from your screenshot, it looks like they both introduce some kind of error in the tiling calculation that causes the tiles to become offset slightly. A similar thing happens with Global Mapper’s tiling routine unless I check the option in Global Mapper called “Crop Right and Bottom Cells to Export Bounds”. Hopefully they can fix that. I downloaded tiles2kml 2.31. It produces tiles from georeferenced images and transforms them to kml and loads them instantly in google earth. I downloaded the demo of Superoverlay. Works great – easy and intuitive. However, when I went to buy it it won’t allow me to have a public free e-mail account. Why not?? I have used this account for everything else for the past 6 years. Is there any other place to buy the program than through the Share-It site? 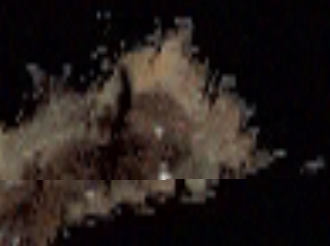 Superoverlay works great for large images in Google Earth, but I’m trying to display the same large images in Google Maps. Has anyone had luck getting superoverlays to display in Google Maps? Thanks everyone for this post and comments. I am using super overly with great results but I have the issue with the relative paths not working on server-based data. Does anyone have specific suggestions for editing the .kml file to correctly reference the sub-images? Thanks in advance.